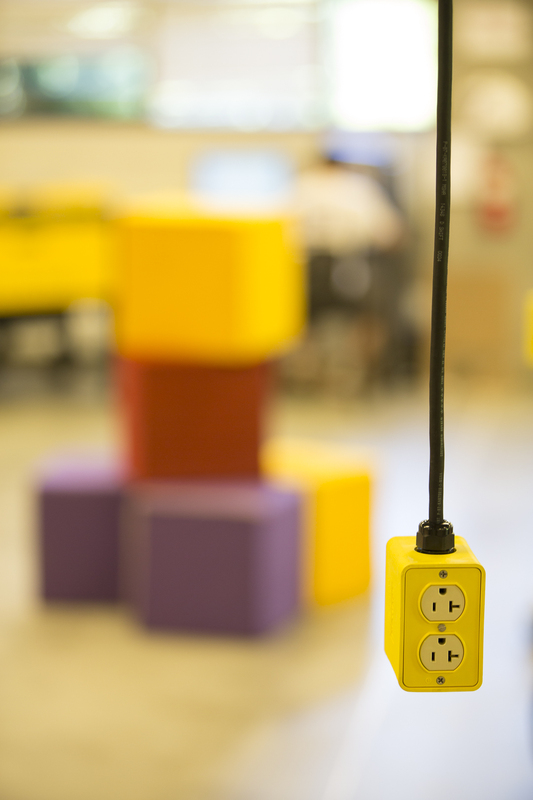 Inside the University of Washington’s CoMotion MakerSpace, students, faculty and staff use sewing machines to create anime convention costumes, 3-D print models for aeronautics research or make circuits for a custom-built amplifier. Inspired by the DIY movement, these communal spaces with soldering irons, laser cutters, saws, duct tape, pegboards full of tools, butcher paper, crayons and other “making” tools are popping up across the country. They enable a broader array of people to tinker, create, crochet or prototype whatever invention they can dream up. 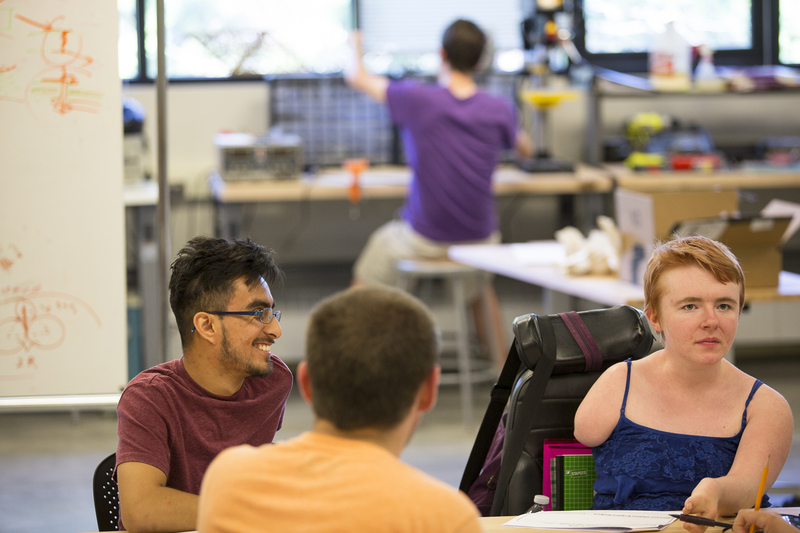 To ensure those spaces are truly inclusive, a team of UW researchers has released new guidelines aimed at ensuring makerspaces are accessible to people with disabilities. The effort is part of a broader National Science Foundation-funded AccessEngineering initiative, which supports students with disabilities in pursuing engineering careers and promotes accessible and universal design in engineering departments and courses. 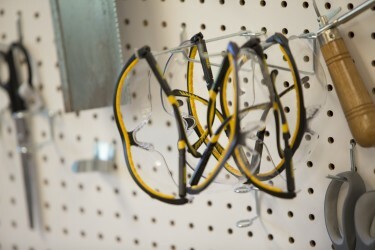 “A lot of universities are creating these more casual prototyping spaces where students can have more of a DIY experience, as an alternative to a traditional machine shop,” said AccessEngineering co-principal investigator Kat Steele, a UW assistant professor of mechanical engineering whose Human Ability & Engineering Lab focuses on developing tools for people with cerebral palsy, stroke and other movement disorders. On a recent tour of the UW’s 6-month-old CoMotion MakerSpace, students with an array of disabilities — from cerebral palsy to vision impairments to autism — found a lot to like. The open spaces worked for people in wheelchairs, and floors were free of wires that could trip people or snag wheels. 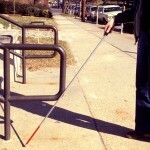 A wide range of materials and tools allowed people with differing abilities to find things to work with. Quiet rooms around the perimeter of the space offered a refuge for people with hearing impairments or neurodevelopment disorders who have trouble filtering out background noise. Incoming UW freshman Hannah Werbel, who is legally blind and participated in the UW DO-IT Scholars program that helps students with disabilities prepare for college, found the bright yellow electrical outlets hanging from the ceiling — which are designed to keep wires off the floor — were at just the right height to be hazardous. Work tables on wheels were a plus, since they allow people to reconfigure the space as needed and move if people accidentally bump into them. But the students suggested that makerspaces keep equipment — 3-D printers, laser cutters, tools, sewing machines — in the same location. The UW’s AccessEngineering program helps train faculty from across the country in universal design, which means designing spaces, curriculum or environments that work for the widest possible array of people. The program also provides mini-grants to help engineering schools incorporate those principles. The program has previously released checklists and guidelines for making engineering labs, departments, instruction, projects and computer labs inclusive of people with disabilities. Many of those recommendations, from large print labels to clutter-free workspaces, wind up benefiting everyone. The idea for makerspace guidelines arose, in part, because so many new computer-aided design tools — such as 3-D printers or laser cutters — are making it easier for people with disabilities to explore their creativity, prototype ideas and invent. 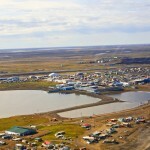 The project was funded by the National Science Foundation. Other AccessEngineering leadership includes principal investigator Sheryl Burgstahler, director of the UW Access Technology and DO-IT centers, and co-principal investigator Maya Cakmak, assistant professor of computer science and engineering. For more information, contact Steele at kmsteele@uw.edu or AccessEngineering project coordinator Brianna Blaser at blaser@uw.edu.